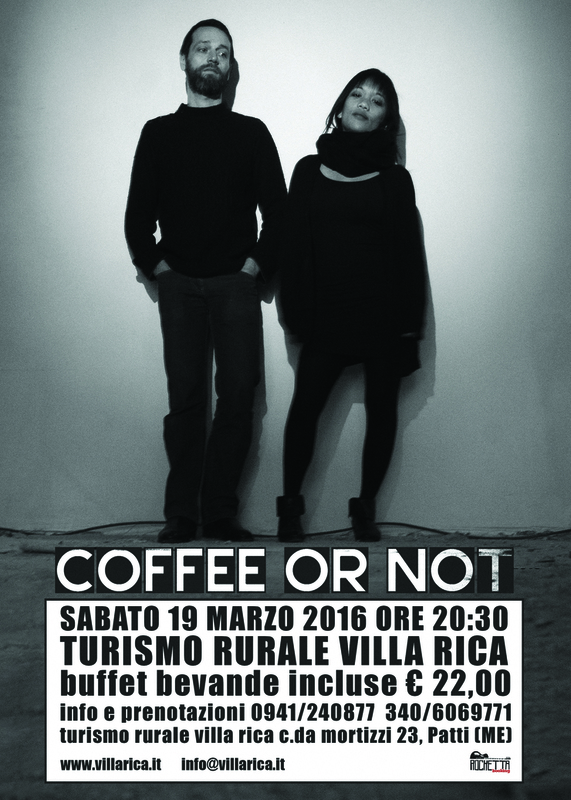 BIO: Con il loro terzo album, il progetto belga Coffe Or Not ha deciso di buttare via le chitarre acustiche e di usare una tempesta elettrica. Conosciuti per le loro armonie vocali, la delicatezza, la sensualità SoRe’ mette Soho e Renaud ben oltre quello che ci si aspettava da loro. Da loop introspettivi a piatti scroscianti, dai pad eterei alla potenza sonora. Un album che li fa viaggare fuori dal Belgio, in tutta Europa. With this third album, the Belgian project Coffee Or Not decided to get rid of the acoustic guitars and use stormy electricity. Known for their vocal harmonies, softness, sensitivity, they now show another side of their world. Indeed, against all odds, with its unpredictability, ‘SoRe’ puts Soho and Renaud beyond what was expected from them. From introspective loops to cymbals bursts, or from ethereal pads to shouts, this is now more about tickling the guts than the ears. An album that makes them going out of Belgian, in order to play accross Europe.